In this blog post, I cover the launch of a new range of frozen parathas from Innovative Foods Limited, one of the Top 4 Frozen Food Brands in the country. Did you know that Innovative Foods Limited (IFL) is a major player in the Indian food processing industry since 1989? Under the brand name 'Sumeru', they manufacture and market various types of ready-to-eat vegetarian and non-vegetarian food that includes seafood, poultry, and pork. The customized products from IFL are supplied to various leading food service companies in India and overseas. Their core business, however, is processed and frozen food. IFL has retailed the multi-category product portfolio across the country with a presence on all major modern trade counters. 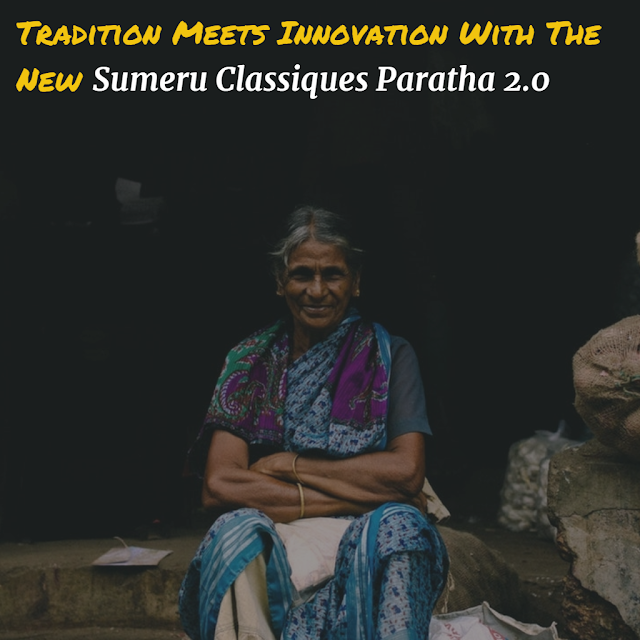 IFL has now launched a new range of frozen parathas with the name of 'Sumeru Classiques Paratha 2.0'. The gala launch event took place yesterday at The LaLiT New Delhi, in the esteemed presence of Saurabh Kumar (VP - Sales & Marketing, IFL), Suraj Sharma (GM - Marketing, IFL) and Chef Ajay Chopra (Brand Ambassador Sumeru). 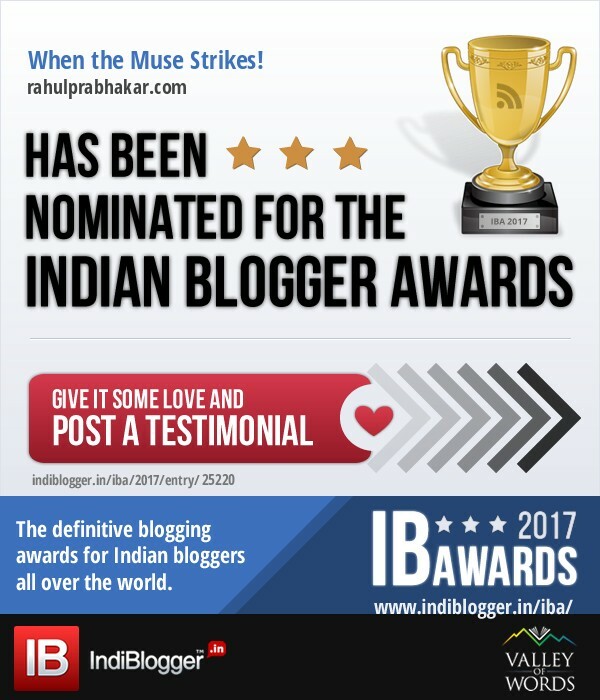 Yours truly was also invited as an independent media partner! Personally speaking, I have been a huge fan of their stuffed parathas like Aloo Paratha, Onion Paratha, and Navrattan Paratha. I have also tasted their Malabar Paratha, Flaky Paratha, and Atta Paratha, on various occasions. Speaking on the occasion, Saurabh Kumar, VP, Sales & Marketing, IFL said "The growing acceptance of frozen food in India has pushed us out of our seats to think of new product solutions. Providing convenience and versatility to consumers has been one of the core pillars on which our product portfolio stands and our aim has been to enable consumers create restaurant like meals at home. Our new range of parathas is a delightful triangulated combination of taste, health & excitement." The best part about the new range of parathas is that it doesn't contain trans fat, added color, or preservatives. Apart from offering great taste and health benefits, the new range of parathas come with unique colors based on the type of ingredients used. This, to me, is a true match of tradition and innovation. Carefully maintained at a freezing 18 degrees, the parathas can go straight into a preheated pan, giving you a hassle-free yet tasteful experience. Suraj Sharma, GM, Marketing IFL, commented, "A lot of research has gone into making these new products. Whether it's the multigrain variant or beetroot with jeera or turmeric with ajwain or methi with spinach – all these combinations have been developed keeping in mind the health factor along with the taste which today's discerning consumer demands." At the launch, Chef Ajay whipped up three lip-smacking dishes (Paratha Lasagne, Paratha Quesadilla, and Paratha Shami Kebab Sandwich) using the new range of parathas to showcase the versatility of Sumeru's frozen paratha range. He also provided a few tips and tricks for foodies looking to recreate some quick homemade meals with frozen parathas. "My association with Sumeru has given me a platform to make people believe that you don't need to be a chef to experience a restaurant class meal at home. Parathas are a favorite across India and with a little innovative thinking, they can easily be adapted to a variety of dishes," mentioned Chef Ajay Chopra, Brand Ambassador Sumeru, who has previously been a judge on MasterChef India. These parathas are accessible at your nearest grocery stores and are reasonably priced in the bracket of INR 80-100 per pack of five. If you're looking for the most authentic flavors with the goodness of traditional spices in parathas, look no further! Go, choose from the new range of Sumeru Classiques Paratha 2.0.